How many times have you: Wasted time stood watching your microplate mixing because you had to change the speed every few minutes? You shouldn't have to waste time making sure that your samples are being heated to the temperature that your block heater says they are. 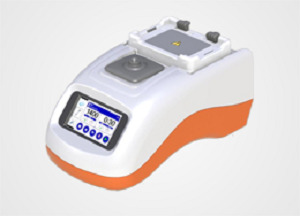 Vitl offers a range of interchangeable intelligent Heated Modules, used as adapters for the Flexi-Therm dry block heater and Ther-Mix heated laboratory mixer. How would you like to remove multiple steps from your sample prep and some variables from your method?